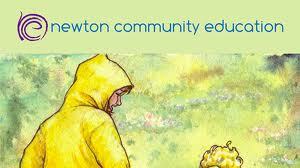 Help wanted for Newton Community Ed August art classes. Assist little ones with a variety of art projects. You must be free the weeks of August 11 and 18. Email lisa_rucinski@newton.k12.ma.us if you’re interested; please write about your background with kids and with art. Your kids are getting older and maybe they don’t need you that much any more. But we need you! Sign up to teach a class for younger kids through our afterschool program. We are particularly looking for teachers for chess and technology classes, but talk to us about your other ideas too. Submit your course proposal here, or email lisa_rucinski@newton.k12.ma.us.